Live music, local food, an art market, kids’ activities, fireworks, and the largest raffle in the Shenandoah Valley are ushering in this summer’s Fourth of July celebration with éclat. 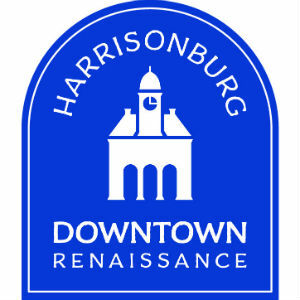 With only a few weeks left to purchase a ticket, the Friendly City Fortune raffle, sponsored by Harrisonburg Downtown Renaissance (HDR), is sweeping the community into action. Even businesses and community members are getting creative and finding ways to participate in the excitement. A few examples: business owners are gifting them to employees as perks; a local real estate agent created his own giveaway to promote attendance at an open house; and VA Momentum created a scavenger hunt at its most recent Run, Sweat, and Beers event at Brothers Craft Brewing – the hidden prize was a free Friendly City Fortune raffle ticket! When community member Steve Stein visited the HDR office to purchase a ticket, he was asked, “How did you hear about the raffle?” He replied, “It’s hard not to, it’s everywhere.” From radio and TV to events and social media, Harrisonburg Downtown Renaissance is making sure everyone has a chance to win big. The Friendly City Fortune kicks off the festivities at Valley Fourth, from 1 to 5pm at the Turner Pavilion & Park. Cash and prizes totaling $250,000 will be given away every five minutes for four hours. Prizes include vacation packages, cars and jeeps, outdoor gear, off-road vehicles, multiple cash prizes from $1,000 to $30,000, and a 2017 Ford F-150 4×4 grand prize. Two early bird prizes were drawn in April and May, creating even more anticipation for the big giveaway on July 4th. The odds are fantastic. Only 5,000 tickets are available, and every ticket includes two numbers that stay in the drawing for the duration of the raffle, giving participants the opportunity to win more than one prize. This raffle formula is unique and meant to give ticket holders numerous opportunities to win. Thousands of people are expected to attend the festival to see if they are a lucky winner. While they wait for their number to be drawn, participants can enjoy the food and craft vendors. In the evening, guests can enjoy live music, a classic car cruise-in, and fireworks finale while enjoying the winnings of the day. Raffle tickets are $100 each and will only be available through June 23rd. Participants must be 18 years or older to purchase a ticket. Need not be present to win. For more information about Valley Fourth, including the complete schedule of events, visit www.valleyfourth.com.